Monica Zech – Safe Driving Speaker – is a Public Information Officer for a major East County City in San Diego County, this includes working with police and fire in her City. Also, she is the City’s Safety Educator. But, she is available to deliver her dynamic life-saving lectures by request outside the City. 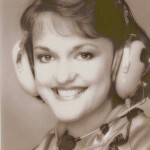 A native San Diegan, Monica first began her career as a news reporter in 1974, but in 1984 she became San Diego’s first female air traffic reporter & first Television traffic reporter for the Automobile Club of Southern California, later for Metro Networks. During her 18 years as a traffic reporter, she most enjoyed her work “off the air” in providing her safe driving talks in the community. She could be found speaking to driver educations classes, to civic groups, to military bases, and for major companies. Her lectures are in big demand often using her vacation time to speak! As Monica’s passion for “safety” grew – in 2001, she decided to leave the world of broadcasting to become the Public Information Officer and Fire Inspector/Investigator for an East County Fire Department. In July of 2005, she was asked to become that City’s Public Information Officer and continue to provide safety education. Overall, “safe driving” continues to be Monica’s passion & mission! She enjoys her ongoing safety research working with local emergency personnel (police, firefighters and paramedics), the medical examiner’s office and with a variety of safety organizations. It was due to this research that Monica quickly saw the crucial need to add safety education to her on-air traffic reports and to provide driving safety lectures in the community. As a result, the demand for her talks spread to not only schools & colleges, but to major companies, and to military bases “locally – and now nationally! Monica also loves speaking driver education classes, traffic schools and to parenting classes. Parents are the number one role models when it comes to safety – especially behind the wheel. How you drive will reflect on how your children drive! “Stay Alert – Stay Alive” lectures: Among the top safety issues Monica addresses in her presentations; the dangers of distracted driving – such as texting, aggressive driving & road rage; driving under the influence of alcohol and other drugs, motorcycle safety and pedestrian safety. Monica speaks to all age groups. Personal Experience – A Victim’s Perspective: No need to bring in another speaker to cover the victim’s perspective. Sadly, on June 5th, 1992, Monica’s work in traffic safety took on an even deeper meaning when her own father was struck and killed by a drunk driver as he legally crossed a street near their family home. He was only 63 years of age. But, lightning can strike a family twice. In February of 2005, Monica’s then 25-year-old daughter was hit and injured by a 17-year-old unlicensed D.U.I. driver. It was due to her daughters’ alertness and quick actions, she was able to avoid a direct side impact to her driver’s side. A year later her daughter became a paramedic! Safety runs in the family! But, on August 29, 2003, Monica was the victim of a STOP sign runner – a collision that surgeons say should have paralyzed her. Injuries from that collision have resulted in neck and knee surgeries. Yes, these personal experiences have added to her talks, Monica is quick to note she speaks on behalf of “all those” injured and killed in preventable crashes. San Diego’s “first” Television Air Traffic Reporter: During Monica’s early years as an Air Traffic Reporter it was quite an honor and accomplishment for Monica’s broadcast career to have the rare opportunity of delivering traffic and news coverage for two Television stations and ten radio stations during morning and afternoon commutes. Monica’s dedication to safety has been recognized by others in the community. In 1995, Monica was asked by San Diego Mayor Susan Golding to be a member of the Mayor’s Transportation Demand Appeals Board. Research: In 1998, Monica’s work was recognized nationally when she received a call from the National Highway Traffic Safety Administration in Washington D.C. to help as a consultant, researcher and educator on a committee to address the growing problem of “aggressive driving & road rage.” Working with San Diego State University, Monica began educating her audiences on ways to reduce the stress of driving – and how to deal with “road rage.” She also addressed the problem of “Red Light Running” and the essential need for “RED Light Photo Enforcement cameras.” Recognizing her efforts, the National Campaign Against Red Light Running, in Washington D.C., named Monica their San Diego spokesperson in 2001. For more than 34 years (since 1984) Monica has been delivering her life-saving lectures. Aside from her expertise in driving safety, she speaks on variety safety related issues from fire safety to careers in the Emergency Medical Services (EMS). Contact: If you would like to arrange for a safety presentation or have additional questions, please contact her direct at: monicazech@cox.net.